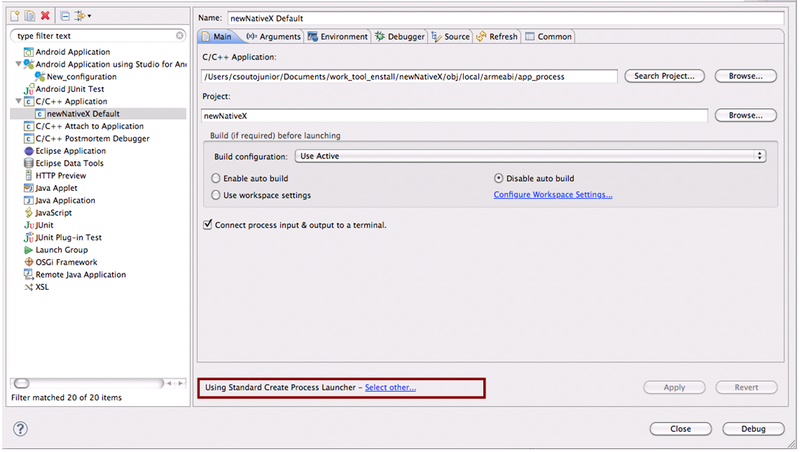 This blog summarizes the steps needed to set-up your Eclipse environment to support the debugging of an Android native application written in C/C++. It's taken from an old Carlos Suoto's web page that doesn't seem to exist anymore. Make sure you compile your C/C++ with the "-g" option (or use -DCMAKE_BUILD_TYPE:STRING="Debug" if you use cmake). 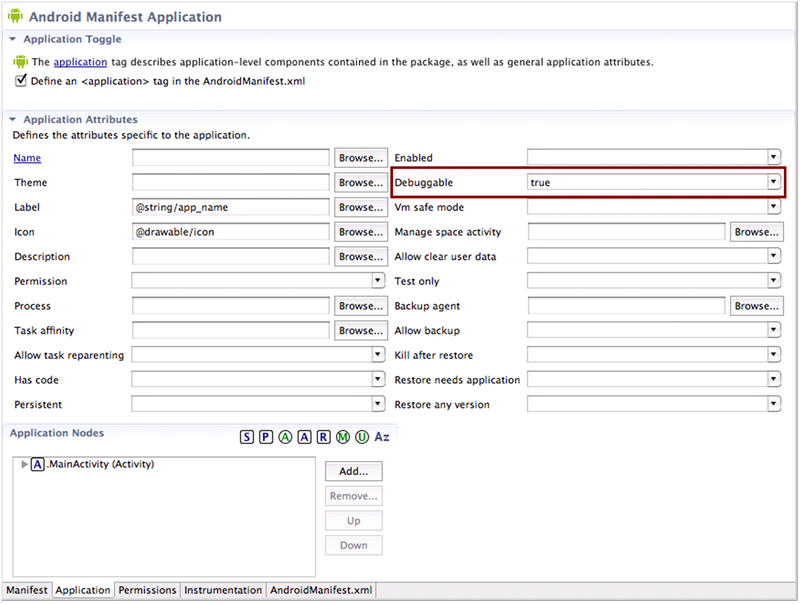 Make sure APP_OPTIM is set to "APP_OPTIM:=debug" in Android.mk and Application.mk. + @$(HOST_ECHO) "Install : $(PRIVATE_NAME) => $(call pretty-dir,$(PRIVATE_DST))"
@$(HOST_ECHO) "Install : $(PRIVATE_NAME) => $(call pretty-dir,$(PRIVATE_DST))"
You must convert your Java project to C/C++ using the Sequoyah plugin or else you won't be able to see the configuration options to set the proper debugger settings. The AndroidManifest.xml must have the property of the application node android:debuggable="true"
From a Terminal session, in the project folder, run the modified ndk-gdb command. It should not attach to an gdb client, but call the gdbserver on the emulator and open a TCP port for connection (or in alternative if you have an Android device connected to your USB port, the ndk-gdb script will run gdbserver on the device itself). In the $PROJECT_PATH/obj/local/armeabi/, modify the gdb.setup file, removing the target remote:5039 statement. (For some reason, the Eclipse GDB session does not like this statement being done in the commands file). Rename this new file to gdb2.setup. 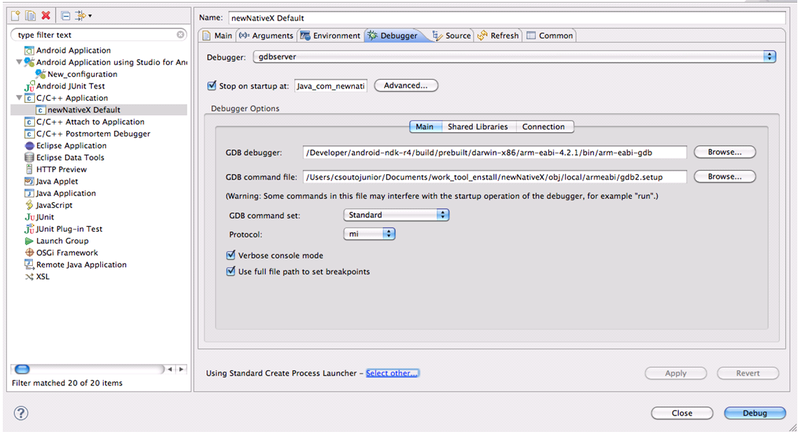 This step need to be run just once, on the first debug session. 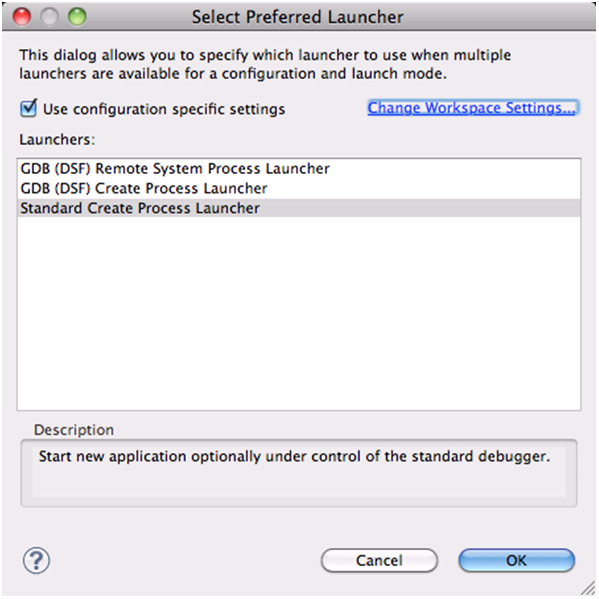 Launch the C/C++ Application debug and wait for the Eclipse GDB session to fully connect to the emulator's gdbserver instance. 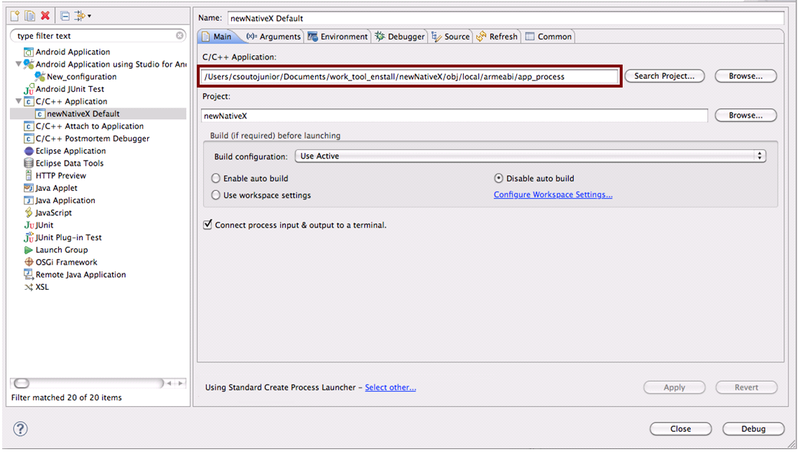 After following these steps, one can continue to debug the application as usual, using the "continue" option to let the execution flow until the next breakpoint is hit or by using the usual "step-in" to execute each statement individually. 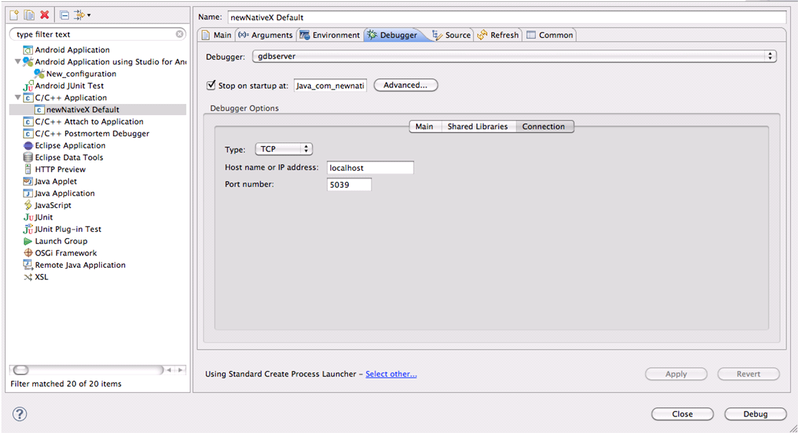 Setting a breakpoint on a Java statement that calls a native function through JNI and stepping into will place the user at the beginning of the native code. Another way to set breakpoints in the C/C++ code is from Eclipse to click on File -> Open File and browse to the location of your source code. Then double-click on the line where you want to set the breakpoint.